At over a metre long, this ginormous dragon jigsaw is almost as big as the real thing! 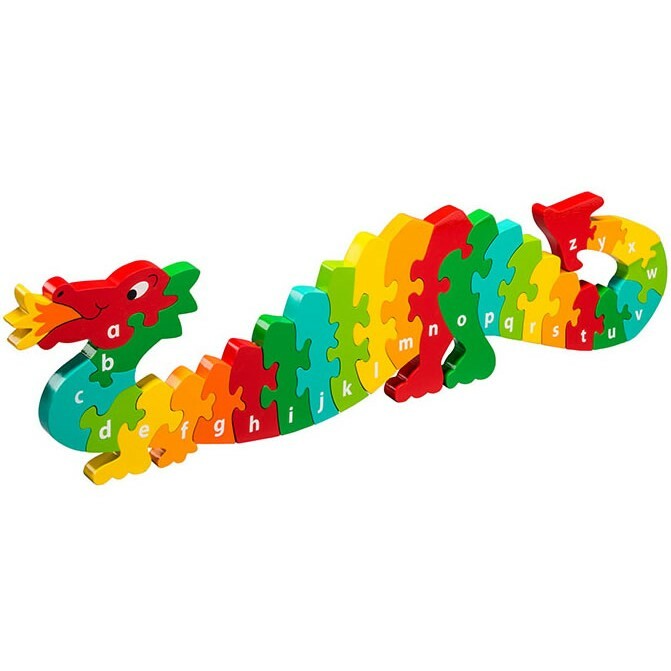 Learning your ABCs is fun with this gorgeous multi-coloured dragon. Little ones will love to play with the chunky pieces and work out what goes where. It's massive! 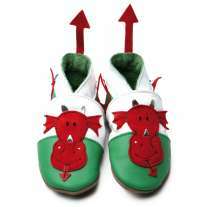 The pieces are thick so the dragon stands on its own when complete. 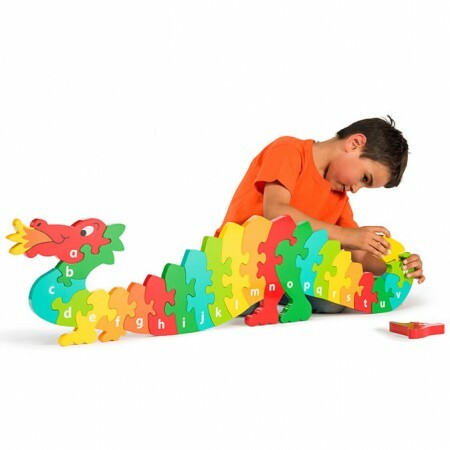 Made from MDF, this jigsaw is suitable from 10 months and recommended for 1-6 years of age. It is 102.5cm long.